The technology you can now own is the result of one woman’s dream combined with research, development and testing by a dedicated specialist team with one goal in mind – a future of beautiful, youthful skin without surgery. 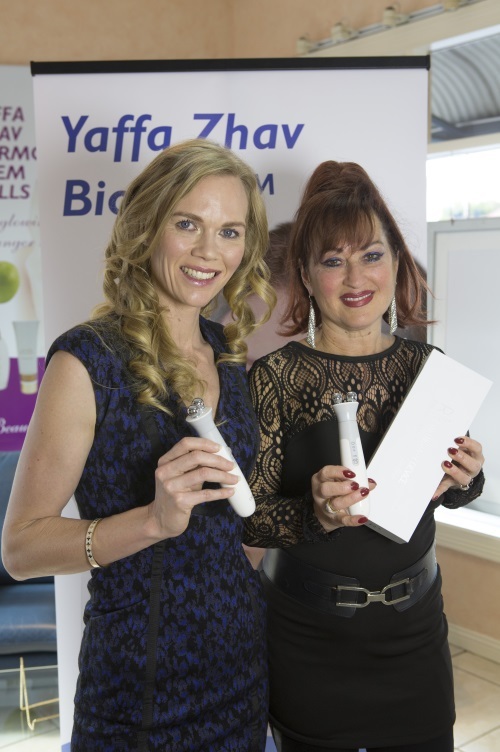 Just a few short years ago the results you can achieve at home with the Yaffa Zhav Bio LiftTM were simply not possible. Now Yaffa, with 30 years experience, has put leading edge beauty technology in your hands, for unmatched convenience and the ultimate ongoing treatment. Originally developed in the US in the late 1980’s, microcurrent technology was used to treat facial weakness in Bells palsy and stroke patients. Since the early 1990’s, microcurrent has been used for cosmetic purposes and branded as a non-surgical facelift, simply because of its immediate effects on the skin and muscles. It offers an alternative to invasive procedures. Microcurrents are gentle waveforms, that match the electrical activity of the body. Research has revealed that microcurrents increase levels of ATP (adenosine triphosphate) and free amino acids in the body. They also promote cell repair. Microcurrent systems use a combination of different wave shapes, hertz and current, that are simultaneously directed through single or dualtipped probes into the muscle or skin tissue. Even the best hydrating creams cannot penetrate deeply enough to address the source of the problem – your subcutaneous facial muscles. 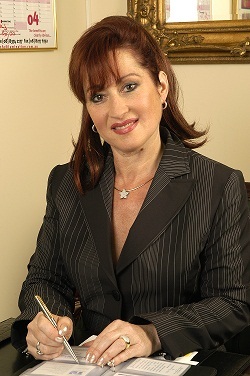 Managing Director, Yaffa Zhav shares with you more than just a busy lifestyle and a passion for beauty – she’s also opposed to surgery as a beauty “quick fix.” In fact, it was her aversion to plastic surgery that got her researching, which ultimately led to the development of the Yaffa Zhav Bio Lift TM. An early start with your Yaffa Zhav Bio Lift ™ means a fresher look for years, without the need ever to consider surgery. Balanced with the support of Yaffa Zhav skin care products, the Yaffa Zhav Bio Lift ™ delivers results that will amaze and delight you. 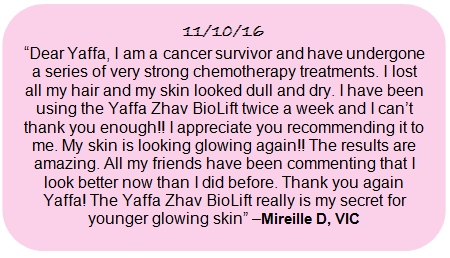 You will enjoy using your Yaffa Zhav Bio Lift ™ as part of your weekly routine. It is completely portable for convenience, offering more than home beauty therapy – it’s the very essence of freedom! Enjoy treating yourself as you relax in your own home. You can even take your Yaffa Zhav Bio Lift ™ on holidays with you so you can maintain your younger, glowing skin where ever you are. Yaffa Zhav Bio Lift ™. An underlying reason behind ageing features and sagging facial skin is the condition of the supporting muscles. Your facial muscles form the “foundation” of your skin, and if they’re out of shape, it shows. Whilst many women today regularly work out at the gym to exercise and tone their bodies, our faces get no such favours – until now! Finally, the Yaffa Zhav Bio LiftTM provides a way to prompt facial muscles into shaping up. The result is an amazing improvement in skin tone and texture – a difference that lasts. Yaffa Zhav Bio Lift TM incorporates leading edge beauty therapy technology. 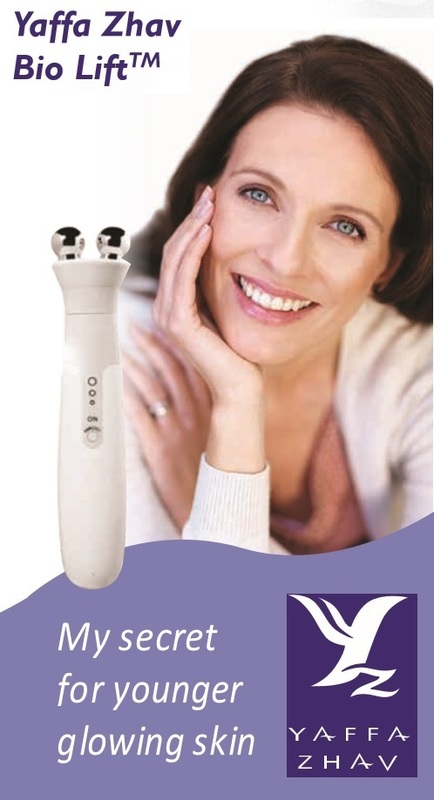 Infinitely adjustable micro-currents, applied through smoothly contoured wands, penetrate deep below the skin to stimulate tired facial muscles, exercising and toning at the same time.This is a unique treatment that you can feel working immediately. After just half an hour of treatment your face will tingle with a pleasant, lively feeling. As soon as your facial muscles start to regain their youthful tone, you’ll see the difference. Firmer skin, better texture, smoothed lines and improved moisture retention are just some of the benefits. Best of all, the Yaffa Zhav Bio Lift TM means you can maintain your new look in the comfort of your own home. Katrina Webb is using the BioLift™ and very happy with the results. According to Katrina it is all about skin fitness – to look younger and have a glowing looking skin. Katrina is recognised and acknowledged for her unique athleticism and outstanding success as a Paralympic athlete. She has won Gold, Silver and Bronze medals in athletics at three Paralympic Games. She was the first torch bearer to enter the Olympic Stadium for the Opening Ceremony of the Sydney 2000 Paralympic Games and in 2006 Katrina was selected on behalf of the International Paralympic Committee to the United Nations in New York.